The “Follow Me” micro-movie starred by French actress Camille Cottin and directed by Eloïse Lang is full of humor, vitality and pride. Inspired by the J12 watch and its hard, high-tech precision ceramics, this film shows the feminine charm of a contemporary woman. She is very individual and always unpredictable. She is a dynamic and true heroine! The micro-movie is scored by Clara Luciani, and her song “The Grenade” is filled with the bass line that makes people want to stop but cannot, giving the film a sense of rhythm. 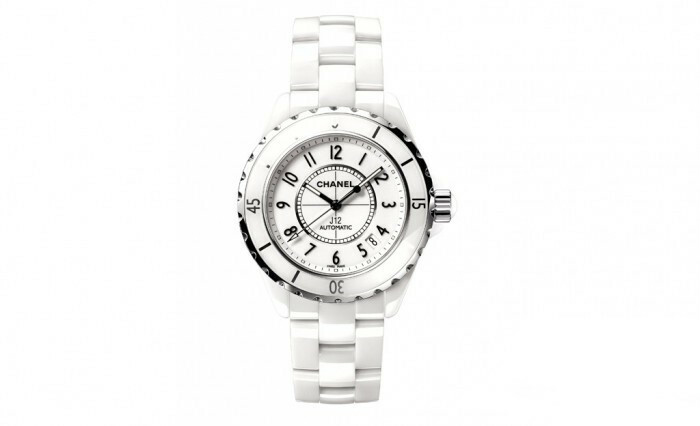 Like any of Chanel’s masterpieces, the J12 watch seems to have become a symbol of timelessness. As an absolutely pure classic in the eyes of the public, J12 has already surpassed time and become an immortal legend. J12 embodies the values that the founder of the brand, Gabriel Chanel’s admirable values: bold creativity, innovation, simplicity, purity, neutrality and elegance. From any parts of view, this watch is a tribute to the modern spirit. In 2000, the J12 watch took the lead in bold use of high-tech precision ceramics. 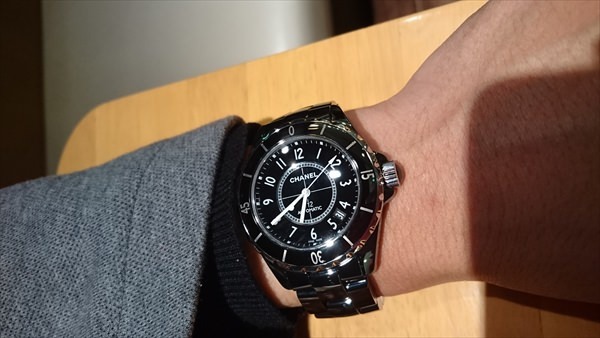 At that time, J12 watch designer Jacques Helu was constantly thinking about how to make black reach an extreme noble? How to make black shine with extraordinary luster? How to make black show the beauty of low-key elegance? Inspired by the streamlined shape of the rowing boat in the nautical world, Chanel developed a unique material consisting of zirconium dioxide and cerium, mixed with pigments and binders, calcined at temperatures above 1000 °C. This high-tech precision ceramic can be obtained after several precise and rigorous processes and multiple machine grinding and polishing. 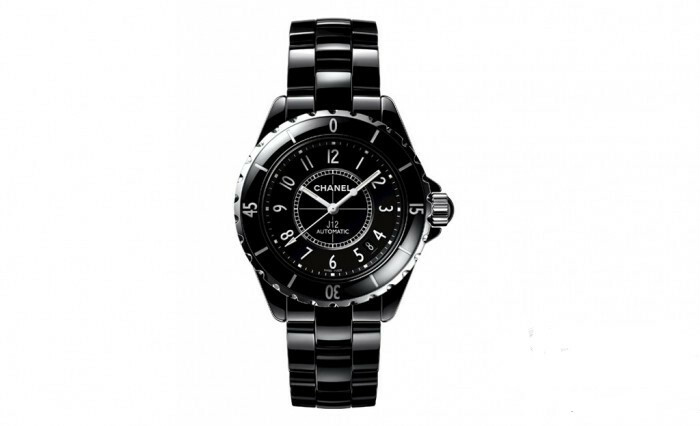 This high-tech precision ceramic exudes a deep black luster, constant and sturdy, and it was unveiled at the Chanel Watch Jewelry Store in Fontaine Square, Paris at the first time. The ceramic bracelet is like a second layer of skin that fits the wrist, naturally sensing body temperature, not as chilly as metal. Ceramics, in the field of watchmaking, have never achieved such precision and detail in the past. 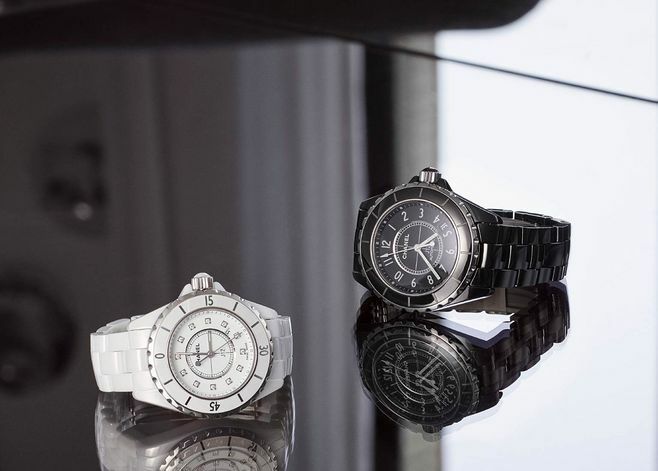 The number 12, which symbolizes the excellence of watchmaking, together with the lucky numbers such as N°5, is an important role in the Chanel Hall and an indelible milestone in the development of the brand. The J12 watch was a great success once it was launched, and was praised by the international media as “a new classic of the 21st century watch”. 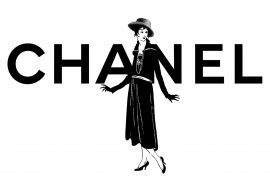 The amazing charm of J12 has inspired Chanel’s watchmaking factory in Switzerland to have a higher creative enthusiasm and bolder creative ideas. In 2003, the pure white J12 white watch was born. White is the color that Chanel is extremely fond of. 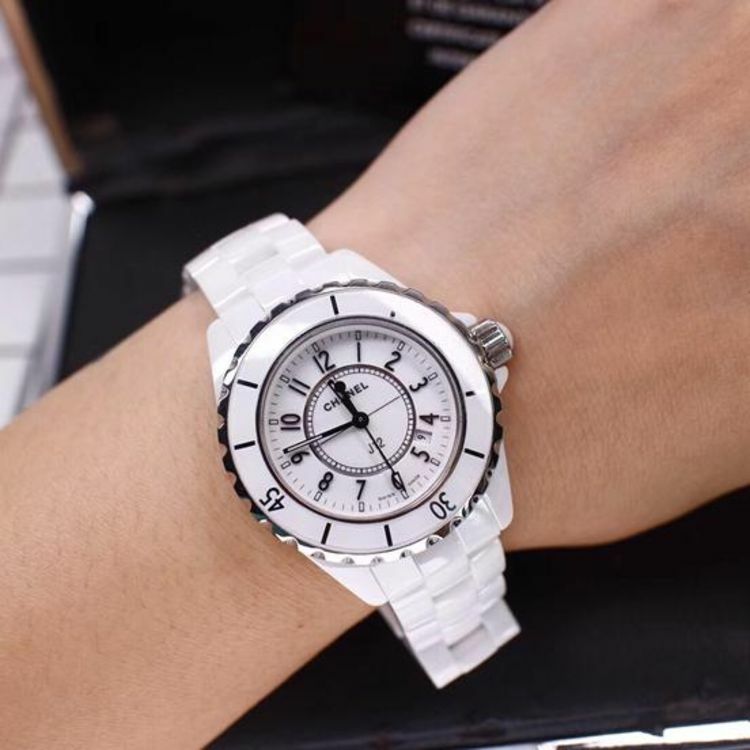 The J12 white watch, like the black J12, was very popular at the beginning and led to another wave of white watches. In 2011, Chanel continued to boldly innovate and launched the J12 Chromatic watch, which made the bracelet look like a stormy sky. Chromatic captures and reflects light, creating a unique radiant glow that produces a magical glow effect. Today, 18 years after the introduction of the J12, Chanel continues to introduce innovative variations, inlaid with jewellery, matte design, limited edition, and even the world’s unique collection. No matter how the change is performed, the concise and modern Chanel J12 watch is always a masterpiece in the field of watchmaking.